For more information about the units in Olympian simply click on the unit number that best fits your needs. While The Olympian is unique for several reasons, from its architectural integrity to prime downtown location, a few features make it stand out from any other property in town. These large and spacious units average more than 1,600 square feet in size with balconies overlooking the Yampa River and Howelsen Hill and excellent sun orientation for breakfast and sunset dinners. The Olympian features versatile mountain contemporary interiors, including granite slab counters, stainless steel appliances and exposed timber. Think rustic-getaway, with modern amenities. The exterior combines brick and stone elements matching other historic downtown landmarks. Amenities include underground heated parking spaces, common elevator access and downtown Steamboat Springs right outside your doorstep. Guests of Olympian will also receive a complimentary Old Town Hot Springs pass. 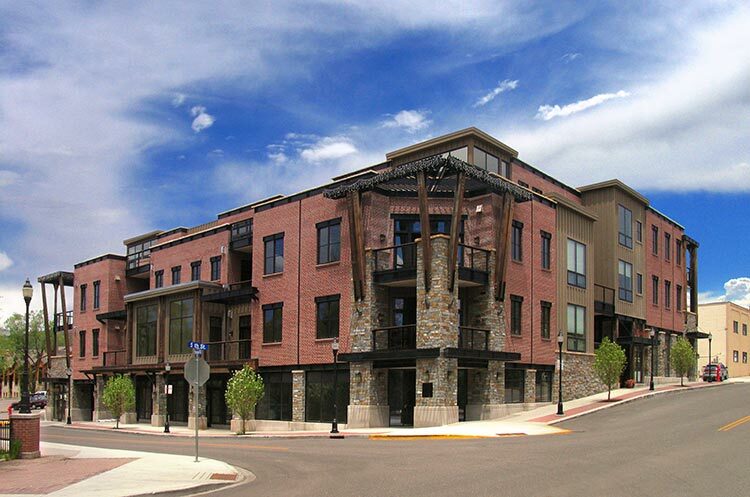 Downtown Steamboat: The Olympian is located in the heart of historic downtown Steamboat Springs, Colorado and just steps away from everything downtown has to offer. The Olympian is also right next to the free city shuttle.